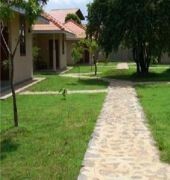 This charming resort hotel comprises a total of 31 well-appointed spacious chalets and a garden. Facilities on offer to guests include a lobby area, a hotel safe and a currency exchange facility. 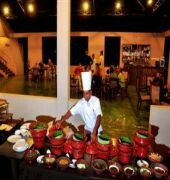 There is a bar and a restaurant and guests have conference facilities at their disposal. 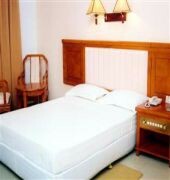 They can also take advantage of the room and laundry services (the latter for an additional fee). There is parking available for those arriving by car and it is possible to hire bicycles on the premises (charges apply).